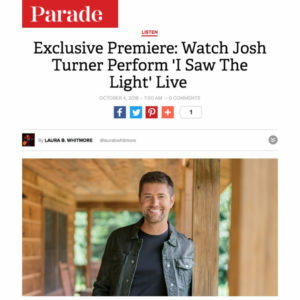 Nashville, Tenn. (Oct. 5, 2018) –Multi-platinum-selling country star Josh Turner exclusively premiered the live performance video for “I Saw The Light” on parade.com yesterday. The track, featured on his highly anticipated album, I Serve A Savior, boasts Turner’s rich, distinctive baritone. 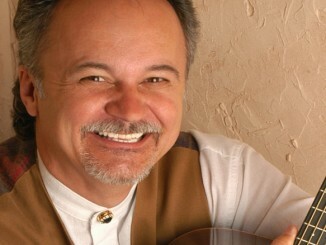 With an inventive arrangement, the South Carolina native makes the well-known hymn uniquely his own. 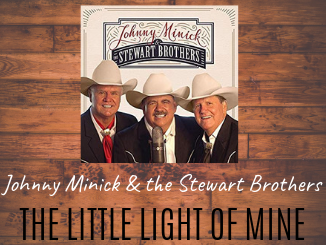 Filmed live at Gaither Studios, Turner’s performance of “I Saw The Light” can be found on the complimenting 90-minute live performance DVD set to release in addition to the 12-track studio project. 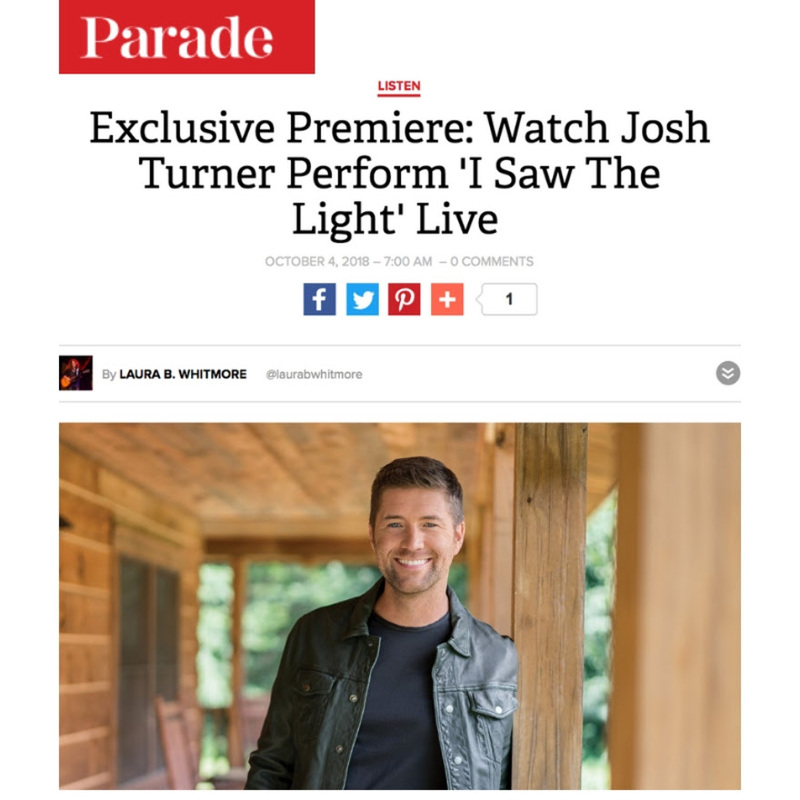 The DVD will feature a special interview of Turner with gospel legend Bill Gaither, a performance by the Turner family and more. 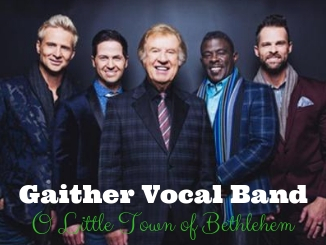 The DVD will also be edited to air as a one-hour television special hosted by Bill Gaither and will air this fall on numerous networks across the U.S. and Canada.